All of the Aru windows are impregnated in order to provide a longer resistance to weather conditions. The impregnation is done after cutting the profiles and tenons and before fitting the frames together, than ensures the impregnation even in the joints. For finishing we use water-based paints or stains by REMMERS . 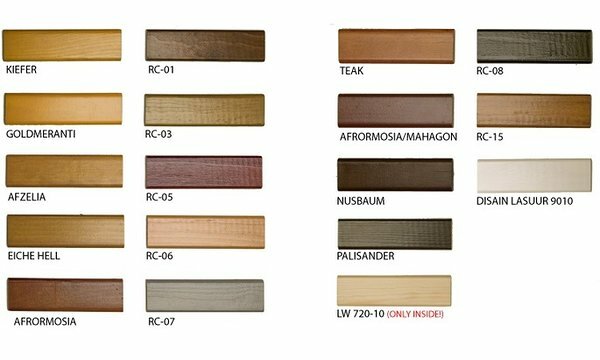 The colour shades can also be chosen from a RAL colour chart. 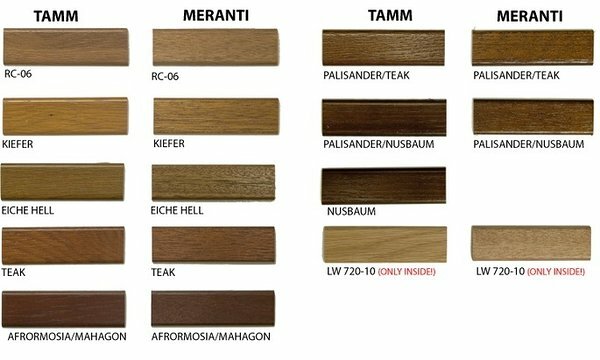 Using the same colour chart, special shade design stains can be ordered.